my name is Kay and i am new here. I just printed some simple models with cura as slicer. But now i have a problem with a self designed model. The model is made with Sketchup. In every STL viewer it looks great with no problems. 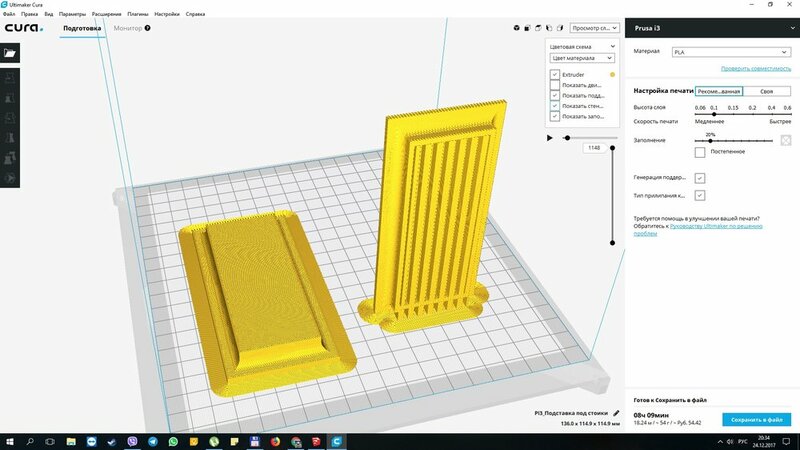 In Cura with supports and layers view it looks like this. The problem is the inner side. There is now a plate, which doesn't exists in the STL file. Any hint what i am doing wrong? 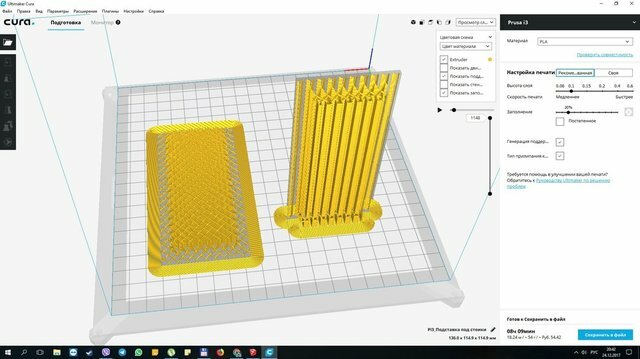 The other way to fix things (or maybe you have to do this even if your model is perfect) is in cura. There are settings in the section "mesh fixes". If your model is perfect cura can fill in parts of your model like the photo above unless you turn all of these off. Click the gear and locate these (second or third to last category in cura and make them all visible). It's probably the "union overlapping volumes" on that is the problem and needs to be unchecked. Although if you fix things to make all visible faces of your part "white" then you might not need to mess with this in cura. Yikes no. You want zero visible gray faces. Only white faces visible from inside outside, all around. Well my suggestion was likely not the issue then. View the part in xray view in cura. It will show red if you have extra walls or holes in it -- that's my next theory. Sketchup is just very problematic. Did you follow my link? It talks about tools you can use in sketchup to make sure your part is a 3d object and doesn't have things like internal walls. Sketchup is designed to make nice looking things but not real things. CAD programs are meant to create real things. For example in sketchup you can just place an infinitely thin wall somewhere. There's no way to print that. I'm thinking you have more cylinders inside this object than you thought and it's confusing cura. Yes i followed your link. I think i found the problem, but i don't know how to fix it in Sketchup. Ok, i have found the problem :-) I have to delete the inner side of the overhang. Now Cura shows it correct. What you called the "inner side" was something impossible in the 3d world. I call it an "inner wall". The guide I linked to explains it better. It's hard to explain with words - easier to explain with pictures. But I'm glad you figured it out. I'm drawing a model in Sketchup. I'm converting this model into an STL file. I open the STL file in CURA, and CURA fills the entire inner space with overhangs. I read this forum and delete the entire inner wall, but CURA still fills the whole model with overhangs. The program removes the protrusions only if the model is installed vertically. You're right..., this file is not usable for 3d printing. It looks like all faces are inverted (or something like that). Sketchup does not produce usable stl-files out of the box (most of the time). Meshmixer (e.g.) identifies more that 5000 errors... Have you checked all the remarks that are mentioned in the linked blog post? 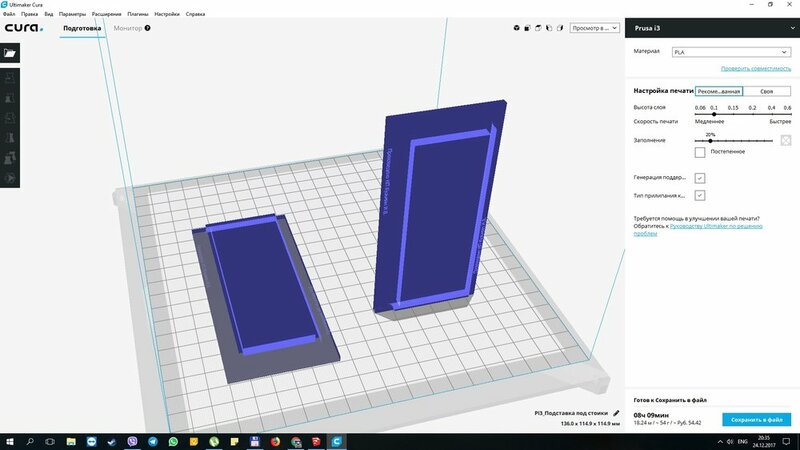 If you're in a hurry - here is your file - repaired with 3D-Builder. Merry Christmas!